Round dog tags in two different sizes – 25mm or 32mm. Comes in your choice of Blue, Red, Purple, Black and Gold. 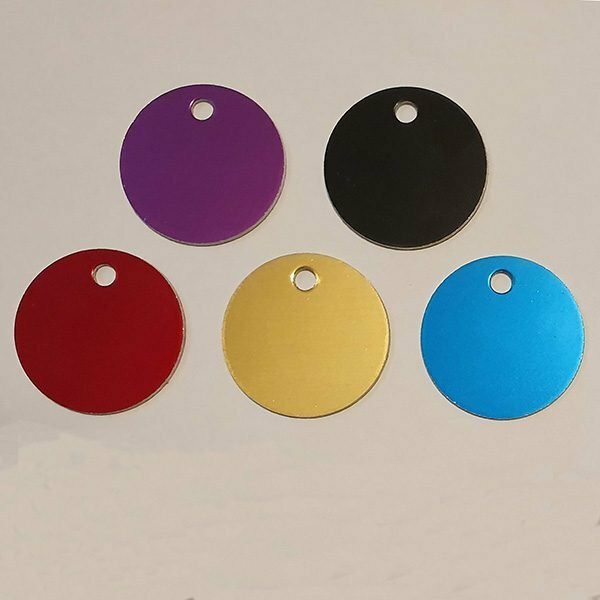 Get your dog tag engraved with your phone number, dogs name or other information for FREE!